Living in a homeowners association can be quite an experience, both good and bad. Overall, most owners find HOA’s to be a positive thing, despite all of the negativity that floats around in the news about associations. On the positive side, HOA’s encourage uniformity and harmony in the community and offer many benefits to an owner. For example, homeowner associations promote uniformity by regulating what type of changes can be made to the exterior of a home (this will eliminate that pink house down the street!) and regulate noise issues, among many other things. Assessments are charged in order to jeep common areas such as streets and perimeter fencing or walls in good condition which will ultimately increase home values in the long run. Another positive aspect of living in a homeowner association is the potential to reduce costs on things such as gym memberships, fitness classes or exterior maintenance costs if you live in a condominium. Expect assessments to be increased from time to time. As inflation occurs naturally in life, so should assessments. If assessments are not increased properly according to inflation factors, the HOA would run out of money to operate and maintain the property. The purpose of assessments is to maintain the community as a whole (with the exception of personal property) and without those assessments, the community would not be properly cared for and the values of your home would decrease. 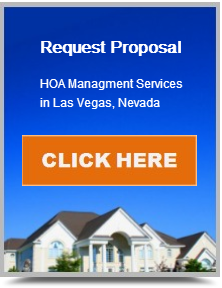 Always pay your HOA assessments (commonly known as HOA fees or dues) on time. Paying on time will eliminate late fees and other penalties such as collections or foreclosure, if the board wishes to do so. Get approval for exterior projects before you start making changes. Failure to get approval for exterior changes authorizes the board or manager to start the violation and fine process. Know the rules of your association. When you purchased your home, you were provided with a book which typically includes the bylaws and covenants conditions and restrictions or CC&Rs of the HOA. Combined, this book is known as the governing documents of the association and is what is required to be followed by every owner who purchased a home in a HOA. Get to know your neighbors and your board members. Staying in touch and communicating with the other members in your community is a great way to stay involved and to understand the daily happenings in your association. If you don’t like what goes on in your community, get on the board. Being a board member has its perks, but with every perk, there is a downside. You can find out more information on how involved you need to be and what your responsibilities would be as a board member by contacting your community manager or a current member of the board. If you are found to be in violation, correct the violation as soon as possible to avoid fines. If you happen to be fined and the violation is valid, accept that fact. Correct the violation and pay the fine to avoid collections and a lien being placed on your home.